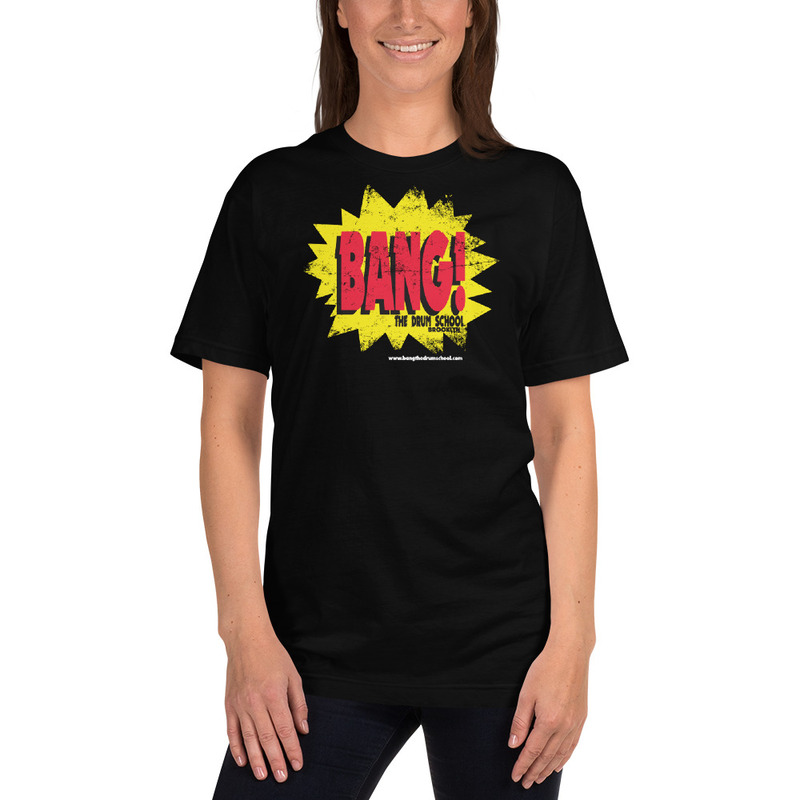 We’ve taken the very first BANG! 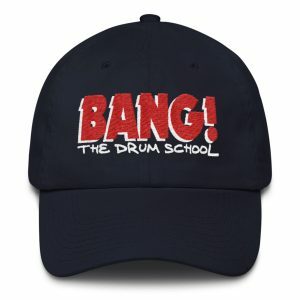 The Drum School logo and distressed it. The logo is printed on a super soft and smooth American Apparel t-shirt, so you know it’s going to feel great on your skin. You’ll love wearing this shirt! The logo was designed in 2009 and if you look closely, you can see the word “Brooklyn” in the lower right hand corner. That’s because the original drum studio we taught out of was on Metropolitan Avenue in Williamsburg, Brooklyn. Just a nifty little fact. Plus, it’s just a Super-Cool shirt and it’s made in the USA )(sweat-shop free).